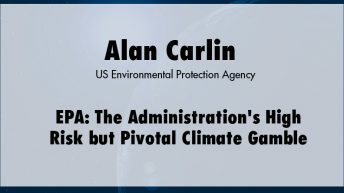 Dr. Alan Carlin has been carrying out or supervising economic and scientific research on public policy issues for more than 40 years, first at The RAND Corporation in Santa Monica, California, and from 1971 to 2009 at the U.S. Environmental Protection Agency in Washington DC. 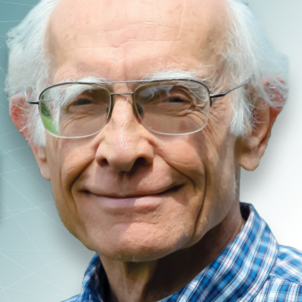 During that time he carried out or supervised more than a hundred policy-related studies on climate change, pollutant assessment, energy economics and development, environmental economics, transportation economics, benefit-cost analysis, and economic development. 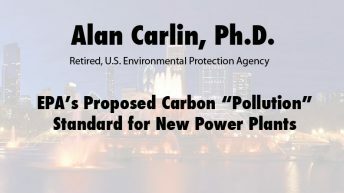 Dr. Carlin is the author or co-author of six published papers on climate change or energy pricing. For seven years he supervised the production of a wide variety of criteria documents very similar in concept (but not in implementation) to EPA’s draft endangerment Technical Support Document. He is a policy advisor to The Heartland Institute. 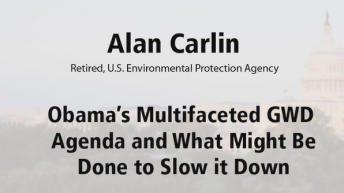 Dr. Carlin, now retired, was a 37-year career environmental economist and scientist at EPA when, in June 2009, the Competitive Enterprise Institute broke the story of his negative 100-page report reviewing the agency’s draft Endangerment Finding. 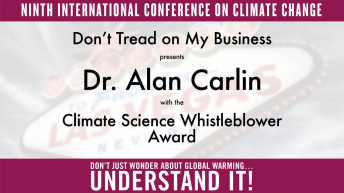 As a result, Dr. Carlin’s supervisor ordered him not to discuss climate change with anyone outside his group and to stop working on the issue.